We had a great blessing at our mini-bluegrass concert. The “Four-Mile Trio” consisting of Jeanine Loubier, Vicky White and Will Rowan provided us with about 45 minutes of great bluegrass gospel. Below is a video of “There’s Power in the Blood.” I’ve also added a few pictures to the photo album. 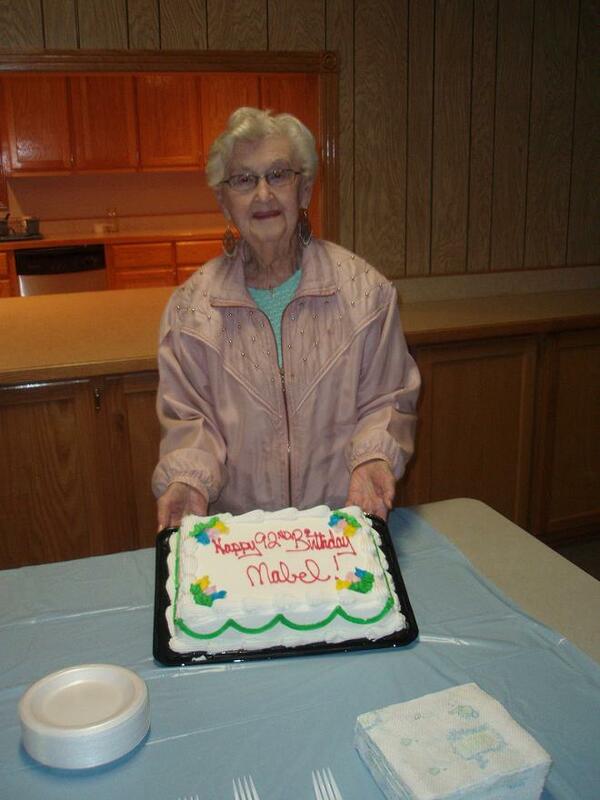 Afterwards, we all gathered in the fellowship hall to celebrate Mabel’s 92nd birthday. This entry was posted on March 3, 2008 at 4:11 pm	and is filed under Concert, Music, Video. You can follow any responses to this entry through the RSS 2.0 feed. You can leave a response, or trackback from your own site.